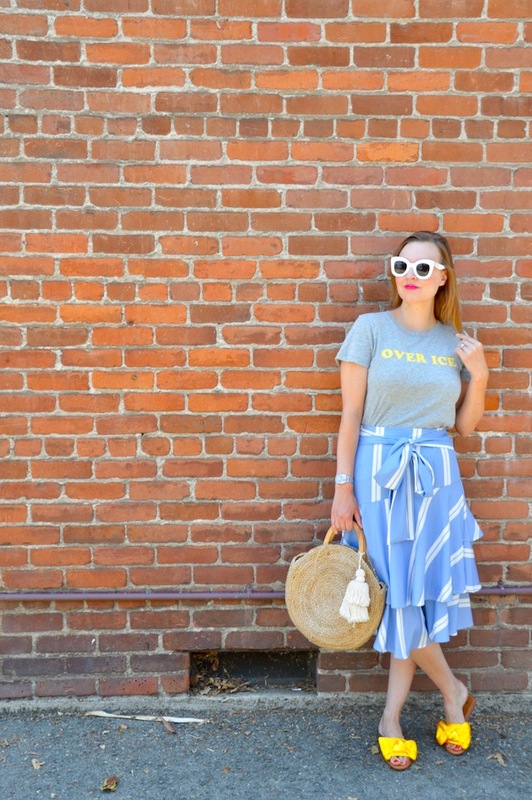 I am a big fan of statement tees because they can be worn with just about anything. When J. 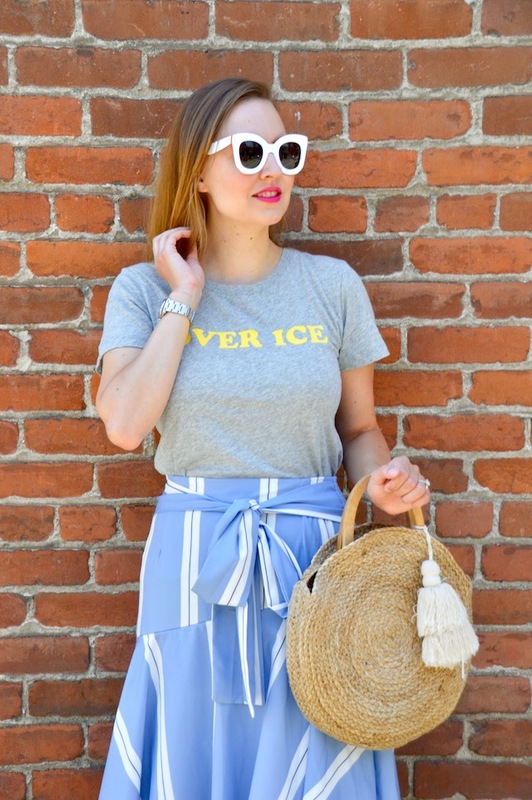 Crew came out with this "Over Ice" statement tee, I was smitten because I knew it would be the perfect thing to wear to happy hour! 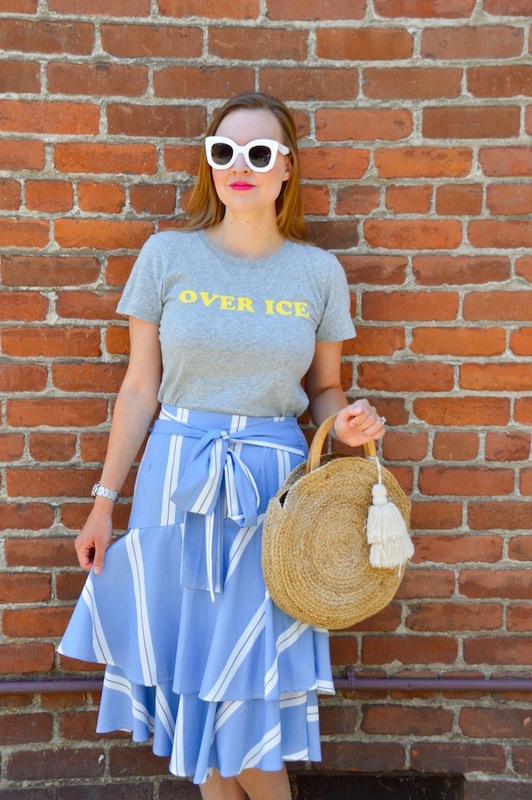 This time around I paired the tee with this fun ruffle skirt from SheIn. 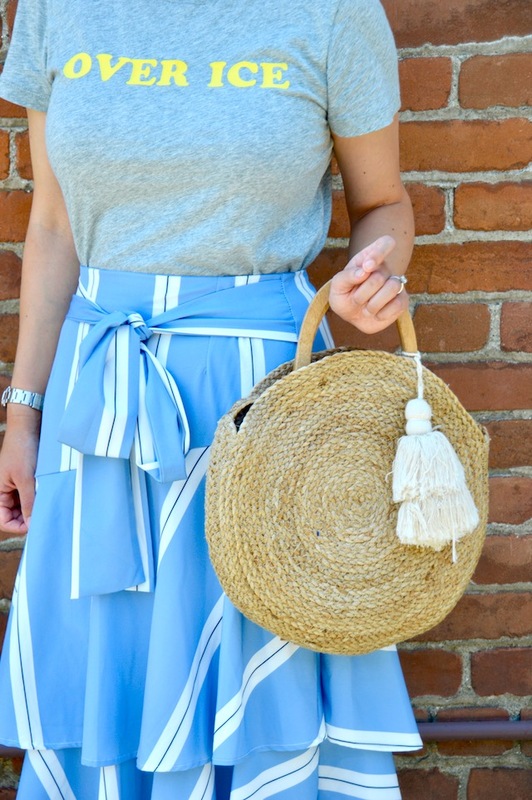 I love the layers of this skirt and how it ties in a bow at the waist. I guess you could say it's also the perfect thing to wear if you need to "tie one on"! To be completely honest, I didn't wear this outfit out to the bar but, rather, to a Thai restaurant last week. (They have delicious food!) While I did not get any alcoholic beverages there, I did get water with a lot of ice because both the food and the weather were pretty hot that day, so I guess that fits well with the saying on the tee! 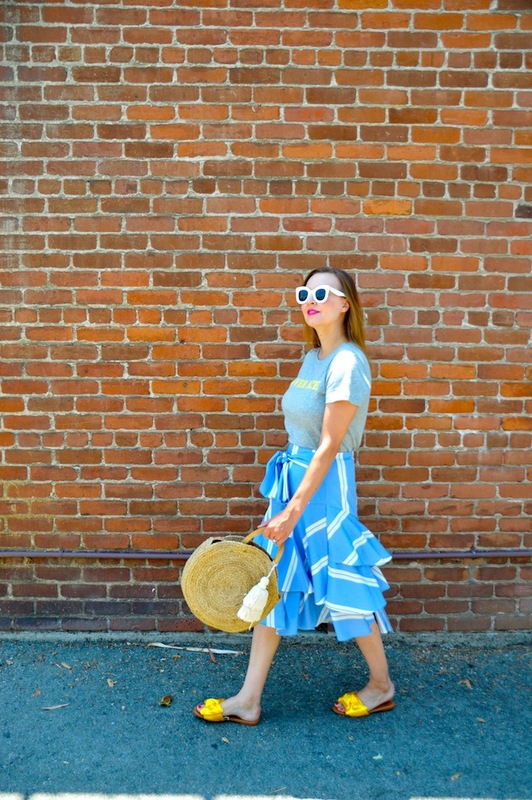 As I mentioned before, the statement tee is fantastic because it can make anything, even a skirt, a little bit more casual. In the future, I might pair the skirt with a floral top but for a casual bite out it was the perfect thing to wear! Cute! There are no rules. Love how it all flows together. Adorable yellow bow slides. I have a pink pair that is similar. Great mules! You always look fantastic! Hope to see you tomorrow on my Fancy Friday linkup party! That skirt is so cute and I love the yellow slides! They are so pretty and bright for summer! Love the color scheme of this outfit. The skirt is so fun!